We were so honored to have the opportunity to host the celebration for the end of the local “100 Bikes in 100 Days” Campaign earlier this week. This campaign was a joint effort with several community leaders and AUSA members to collect 100 bikes and helmets to support Ft. Gordon Christmas house. Fort Gordon Christmas House is a 501 c3 organization whose mission it is to provide holiday assistance to military families stationed at Fort Gordon in Augusta, GA. This program offers qualifying families a $50 gift certificate to the Military Commissary to purchase a holiday meal and two age appropriate gifts and a book, for each child in their family. The gifts are distributed from a facility decked out with holiday cheer and this year Christmas House expects to provide gifts to over 600 local children, supported by local donations. The “100 Bikes in 100 Days” campaign started as a joint effort between 7 Augusta area residents over a breakfast back in August. Through word of mouth and the power of social media this small but mighty team worked together to collect funds to purchase bikes and helmets over the course of a 3 month period. They partnered with local businesses and big-hearted residents and hit their goal of 100 bikes near the end of October, but the efforts didn’t stop there. 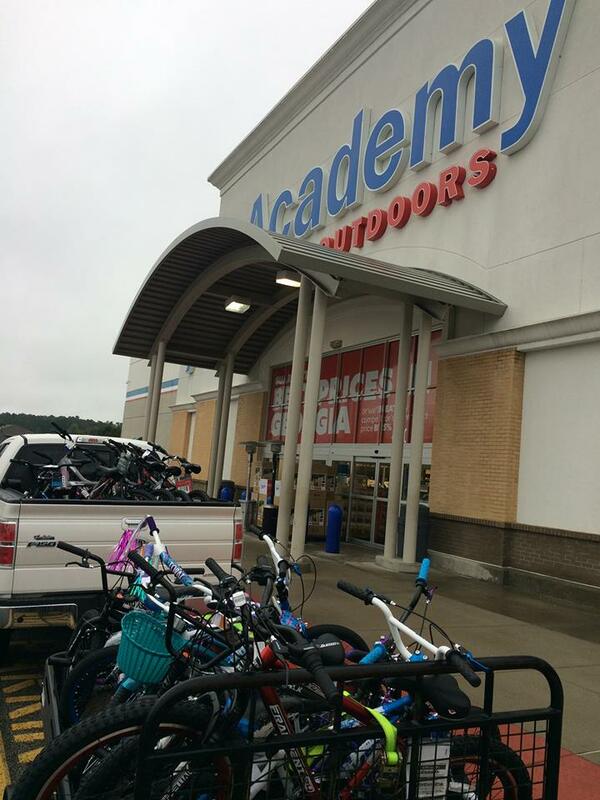 Each week a group meets at the Academy Sports in Evans to purchase bikes and helmets with the donations received that week. 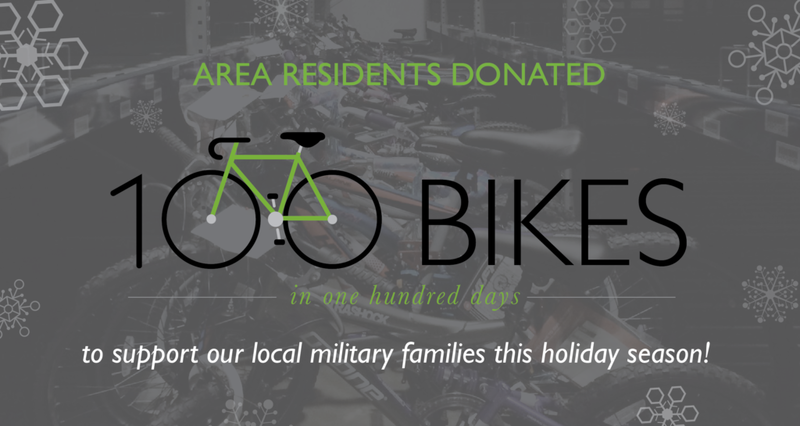 Team ETG is proud to offer support for this project by storing the bikes throughout the campaign and we’re proud to report that as of our final delivery on November 30th, over 150 bikes and helmets were purchased through this campaign and donated to support military families this holiday season. Pictured above: Bikes are loaded up after a weekly shopping trip to be transported to our storage facility before being delivered to Fort Gordon. A huge thank you to Academy Sports in Evans, GA who helped support the campaign throughout the fall! On Tuesday night we celebrated #GivingTuesday by joining together with all those in our community who worked to support this effort over the last 100 days! We were so honored to be even a small part of a great effort pulled together by our community and we hope that this campaign continues to grow in size each year! 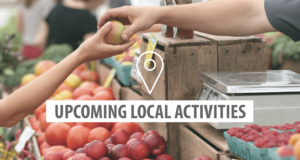 If you are interested in learning more about Christmas House or how you can get involved with their organization, you can contact fgchfunds@gmail.com or visit them on facebook. Check out our highlight reel from Tuesday’s celebration, which even included an appearance from Old St. Nick himself!